Based in Brisbane, Queensland Australia, Ingrid is a graduate of Griffith University’s Queensland Conservatorium of Music (Master of Music Studies, Vocal Pedagogy). She also has a Graduate Diploma in Film and Television with the Australian Film Television and Radio School (AFTRS, Sydney) and teaches Contemporary Voice (specialising in Jazz). She runs and facilitates workshops and master classes locally and around the world. Ingrid has produced and presented a regular Jazz Singers’ Jam Night in Brisbane since 2001, which is currently held at the Brisbane Jazz Club and is the Festival Director for The Brisbane Vocal Jazz Festival (2016 to present). She sings contemporary jazz, bebop, jazz standards through to bossa novas, sambas, blues, and other jazz modalities as well as originals and original reharmonised arrangements of pop standards from Beatles to Rolling Stones. Ingrid is known for her spontaneity, emotional depth and dynamics. She is also involved in a joint strings project – Ingrid James & Louise Denson’s WILD SILK STRINGS PROJECT (focussing on original compositions as well as lesser-known standards from the Jazz and Brazilian Songbooks. Their repertoire acknowledges the jazz tradition while reflecting a European aesthetic in mood, melody and harmony with feels including Afro-Cuban, cha-cha-cha, Brazilian bossa nova, swing, jazz waltzes and slow funk. 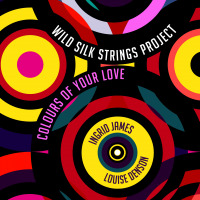 Colours of your Love by WILD SILK STRINGS PROJECT was released on 7th September 2018 by MGM's The Planet Company. 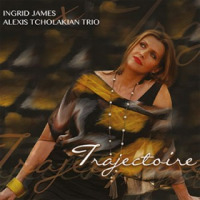 Her latest collaboration has been with Alexis Tcholakian (France – pianist), based in Paris. They have co-written and recorded an album together in Paris in 2014 - due to be released late- 2015 called TRAJECTOIRE. Ingrid has performed around Australia at many jazz festivals and abroad at Ronnie Scotts, Club 606, Jazz Pizza Express in London. As well as regularly touring the UK and France. She has been soloist with the Queensland Symphony Orchestra & the Queensland Philharmonic Orchestra. She is also a member of the 20 piece big band called the Brisbane Contemporary Jazz Orchestra. In 2012 she toured with Bill Watrous and SG7. 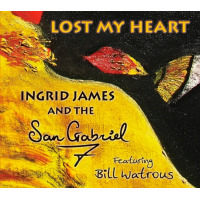 Bill Watrous (7 time Downbeat “Trombonist of the Year” winner) said “If this were the 50’s Jazz era, Ingrid James would be performing alongside other greats as Ella Fitzgerald and Billie Holiday. She is by far one of the best jazz vocalists I have ever worked with”. All About Jazz musician pages are maintained by musicians, publicists and trusted members like you. Interested? 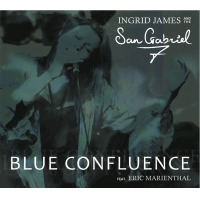 Tell us why you would like to improve the Ingrid James musician page.